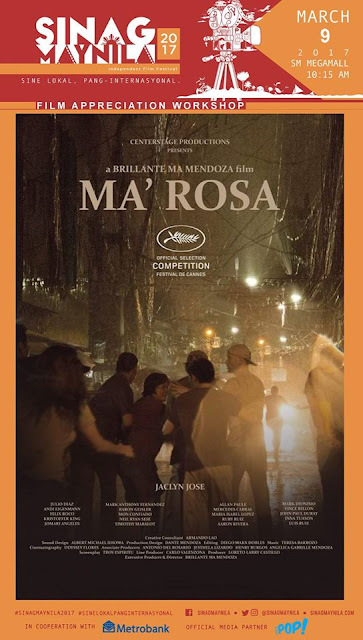 Master Film Director Brillante Mendoza will conduct a FREE film appreciation workshop right after a special screening of his recent masterpiece, MA'ROSA - the film that earned Jaclyn Jose her Best Actress Cannes Award. Screening is scheduled on March 9, 2017 at 10:15AM at SM Megamall Cinema 5. Admission is likewise FREE.